Win a $50 Amazon Gift Card by publishing an awesome animation on SuperAnimo in the month of September 2018! SuperAnimo is the easiest way to create animations on the web. Use the SuperAnimo Editor and any animation that you publish in the month of September will be automatically entered in the Sept 2018 Best Animo Contest. 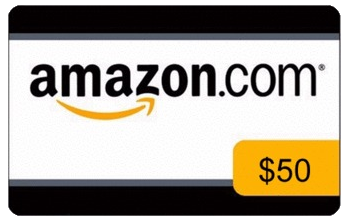 The winner of the contest will receive a $50 Amazon Gift Card by email. All entries must be submitted by Sept 30, 11:59pm. The winner will be notified Oct 7, 2018. After the winner claims their prize - the winning Animo and their first name will be posted on this page. To enter use the animation editor on SuperAnimo.com to create an Animation. Publish your animation by hitting the Publish button. Winners will be notified by email. If a winner is unreachable after seven (7) days, or if that winner is unavailable for prize fulfillment, an alternate winner will be selected. SuperAnimo employees, affiliates, advertising sponsors and promotional agencies, and the friends and immediate family members of each are not eligible. Entrants further grant to SuperAnimo the right to use and publish their proper name and state online and in print, or any other media, in connection with the Contest. Each winner, by acceptance of the prize, agrees to release all Sponsors, and their parent and subsidiary companies, their officers, directors, employees, affiliates and advertising agencies from all liability, claims, or actions of any kind whatsoever for injuries, damages, or losses to persons and property which may be sustained in connection with the receipt, ownership, or use of the prize. Each winner is responsible for all federal, state and local taxes. SuperAnimo reserves the right to change the rules at any time. This contest is officially sponsored by SuperAnimo.